Sound Icon’s concert at the ICA last Thursday brought together a number of cutting-edge institutions: the ICA itself, the Boston University Center for New Music, and most notably, IRCAM-Centre Pompidou. 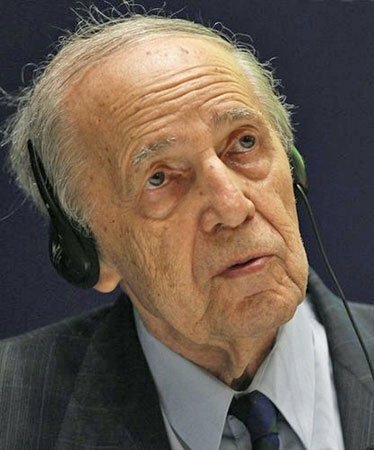 Pierre Boulez founded IRCAM (the “Institute for Research and Coordination in Acoustics/Music”) in the 1970s, and much of its research has focused on the use of technology in music. The opener, Boulez’ Anthémes II for violin and electronics, has the feel of a representative IRCAM work. Violinist Gabriela Diaz stood center stage and played: as she did so, electronic sounds provided a constant commentary around her, many of the sounds clearly derived from her playing. The work was written in 1997 and has a melodic, experimental quality: I would like to say “playful”, but the experiments are too serious, and too clinical, to rise to that level. There’s plenty of virtuosity in the violin writing, which Diaz dispatched with passion and intelligence, but the violin is permitted only minimal development of the material. Most of the musical interest presumably comes from the interaction with the electronics, which is frequently interesting but is also frequently repetitive. At the end, Boulez does something you never would expect from him—he writes boring music. Evidently so taken with the ability of the computer to echo back and transform the human performer’s sounds, he returns to the same handful of motives a few too many times. Music that ties performers to technology risks alienation; even a vivid player like Diaz can become overwhelmed by the technology. The Boulez felt lonely, the electronics distancing her from the audience—or maybe not for this audience. The chatter around me afterwards was all about the various kinds of manipulation involved in making the electronics respond as they did, though there was not much talk about the experience of the work itself. Experiencing the Boulez proved more social than the second piece, Jonathan Harvey Mortuos Plango, Vivos Voco for tape alone, an IRCAM commission. If the Boulez is typical of the “interactive” side of IRCAM, Harvey’s work drew on the “spectral” side of IRCAM’s research: it is built on the voice of his son and resonance spectra of the “great tenor bell” at Winchester Cathedral. The primary interest comes from the unique pattern of partials generated by the bell, which created dissonances with an invigoratingly intense vibration to it. However, it was essentially a demonstration of the high-quality sound system at the ICA: the audience sat in darkness with only the blue LEDs on the speakers to watch, listening to the sounds whirling impressively around us. It was an odd experience which recalled listening to records in college, except that the dorm room was a fairly large auditorium, and we didn’t know anyone around us. To be fair, we heard the Harvey only because one of the announced pieces, Beat Furrer’s Gaspra, was not played. No explanation was given for the substitution, but the performance of Furrer’s Aria immediately after the Harvey gave some idea: this sounds like viciously difficult music. Aria for soprano and ensemble involves 15 minutes of constant scurrying activity, much of the time at the threshold of audibility. The strings played close and closer to the bridge; the soprano Jennifer Ashe emitted isolated phonemes; the percussionists were in constant movement. Concentration was needed to detect the changes between different episodes, but that concentration was well compensated: the initial rhythms on the snare drum at the opening came to seem downright warlike in retrospect, and there was a definite dramatic profile to the work’s surgings and retreats. Conductor Jeffrey Means ensured each moment had a clear place and purpose in the work’s architecture. Played without electronic sounds, it did make a case for why one might turn to technology. The work demands players of the highest accomplishment, and requires them play at an exhausting pitch of intensity. The work did sound amplified in places; certainly some of Ashe’s sounds came from the speakers at my feet, although I cannot find any indication that the composer calls for it. The final work was Tristan Murail’s L’esprit des dunes, another spectralist work. This one combined a live ensemble with electronic sounds that appeared to have been pre-loaded as samples onto a keyboard. It was also an episodic work. But where the Furrer’s episodes called to mind drama, Murail’s were more cinematic. Where Furrer’s sound is frequently dry and the gestures brief and sharp, Murail’s environment is rich, even lush, and develops at a much more leisurely pace. It opens with a vaguely Eastern-sounding oboe fanfare, immediately echoed by a flute. It floats over a cushion of undulating microtonal long notes. Soon we have more frantic gestures and splashy accents from the percussion. The work is a catalog of sound color and of sudden changes of pace, with an engaging surface. It seems to be missing some element to give it a real spine, as if it is awaiting the perfect silent film to accompany. Sound Icon, so expert in the precise rendering of brief fragments in the Furrer, equally impressed with the more romantic, even lurid requirements of the Murail. Despite the potentially distracting presence of electronics, cables, microphones and speakers, the skill and sensitivity of the players remained in the foreground.